This true phase converter has a rotary portion built by Baldor Electric. Phase-A-Matic only uses soldered connections on their converters and therefore have minimal circuit board failure and wiring issues. The failure rate is virtually zero because the rotors are designed and manufactured for rotary conversion. Every converter is tested before shipped and given a serial number. This is item is a brand-new OEM converter. 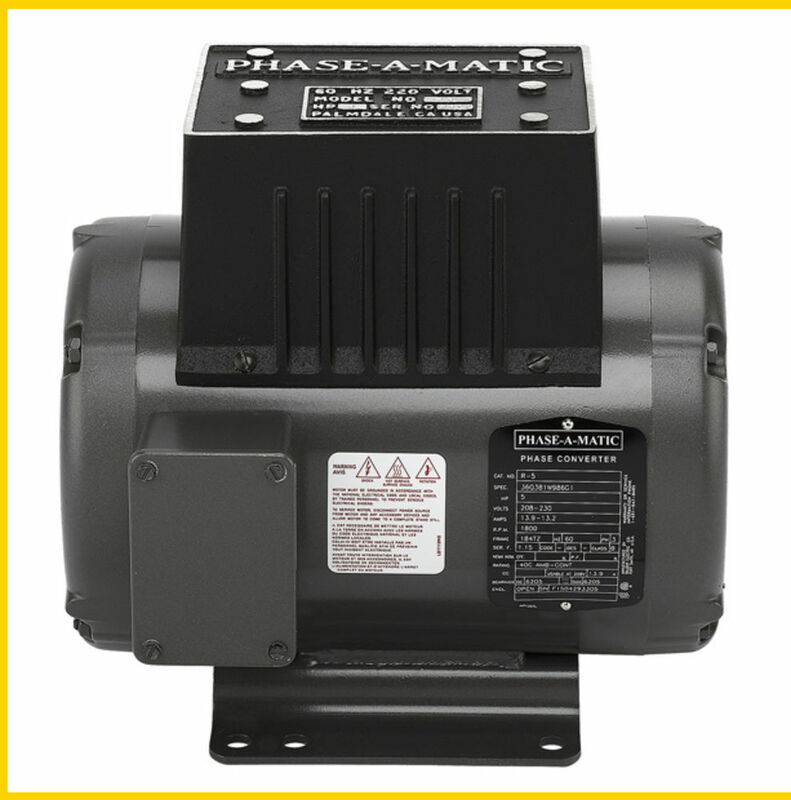 Global Machine Brokers is an OEM distributor of Phase-A-Matic.